Thanks to all the great comments from members of this wonderful blogging community! I saw a lot of really great art out there! So without further ado… the oh so high tech random number generator has picked Denise from http://deniseslittlebirdiestudio as the winner! 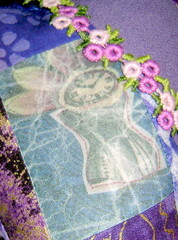 This entry was posted in Passions and tagged art, collage, giveaway, heart, winner on February 16, 2008 by Sheba.